Teaching your child to read can be a difficult task. However, giving your child a bright educational future while trying to juggle a busy life schedule is easier and cheaper than you think! The GREAT news is that it doesn’t take much time to teach your young ones the foundational skills that they need to thrive in this world. There are some simple everyday things you can do as a busy parent to get your kids off to the right start! I am a certified and licensed Elementary school teacher and I am currently going on my 12th year of teaching preschool. I’ve learned a lot and I want to share with you some little gems I have discovered as I have taught my students and while raising my 4 children. And the best part is these little gems are simple and inexpensive! The first foundational gem you can do is read to your child…even just one book, or part of a book every day will gain your child great strides in the world of reading. A child’s vocabulary and their prior knowledge increases as you read your child rich, engaging stories. Children learn and recall information better when they are able to build on knowledge they already have. When your child is presented with new problems or new information their prior knowledge influences their thinking. Not many of us have the means to travel the world and experience other cultures and environments first hand, but we all have access to the library. Taking a trip to the library can be just as exciting as taking a trip around the world. We can find rich and engaging books that will help our children experience the world second hand. The background knowledge they can gain through books will enrich their young minds. The library is such a great place to discover new exciting “free” books. Most libraries also offer story hours. This another great thing to do with your children. Check with your local library to see what programs they have to offer. The Second Foundational skill is teaching them the alphabet AND teaching them that letters make sounds. I like to tell my kids that letters are noisy and make sounds and numbers are things we count. Sometimes children have a hard time differentiating between letters and numbers. When they are still very young point out numbers and letters to them at every opportunity you have. Studies show that a bright child learns after only 30 exposures. An average child learns after 100 exposures and a child with learning delays or disabilities will take over 300 exposures to learn something new. The easiest way to introduce your child to the concept of letters is to teach them their name and start pointing out letters and sounds in their name. You can move on from there with other family or friend’s names. Point out letters in everyday life as you are at the store, park or even just driving down the road. The third foundational skill starts after your child is familiar with most letters of the alphabet. At this point they need a more structured approach. Don’t be scared of structure, I have an easy to manage structured approach that has worked well in my busy schedule. 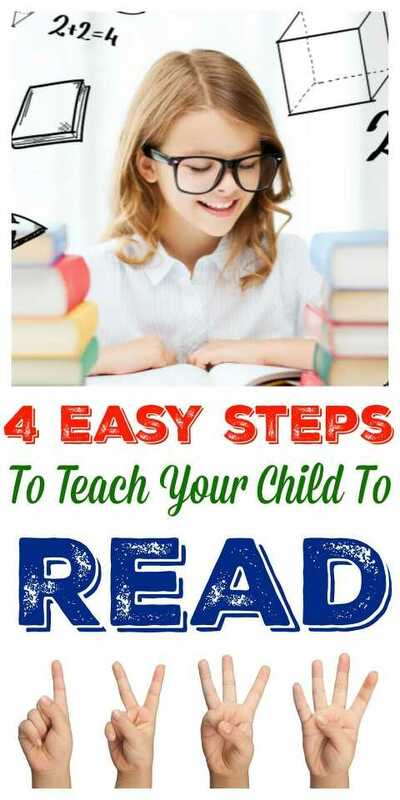 Buy the book “Teach Your Child To Read In 100 Easy Lessons” by Siegfried Engelmann, Phyllis Haddox and Elaine Bruner. A new or used copy will cost between $5 – $20 online. The lessons take about 20 minutes and you can do 1 a week or 1 everyday depending on your child and their pace. The lessons are spelled out for you so all you have to do is read what they scripted for you that lesson. Another amazing resource that pairs very well with this program is Upstart from Waterford. If your child is preschool age you can go to their website and sign up for free. This is a truly hidden FREE gem that you should be taking advantage of! The link to their website is https://www.waterfordupstart.org. The fourth foundational skill your child needs is to develop social skills. Now that you have your child off to a great start academically you can help mold them into a well rounded child. Quality preschools are one of the best ways to help your child gain the social and emotional skills they need to thrive in this world. There is something wonderful about children getting grouped with peers that they otherwise would not be grouped with and teaching them how to interact with all types of children in a supervised loving environment. Preschool really does provide the best environment for children to learn how to follow rules, listen to and interact with an adult authority figure besides their parent and helps them thrive as they development independence. Enroll your child in a quality preschool. Easy enough?! I promise it is! And kudos to you for being proactive and wanting to give your child the best! These foundational skills will set your child up for success as they become more independent. You will be comforted and thrilled to know that they have the skills to soar in this world! They grow up so quickly so start today and I’d love to hear of your success stories! Author Bio: Amber Taylor is a licensed elementary school teacher and is in her 12th year of teaching preschool.